Month one with our little peanut has no doubt had its ups and downs. We are so lucky to have a fairly laid-back baby, but even with that, the first month has been a blur. Anyone who has a child can probably relate to what a blur the nights are. Two hour stretches of sleep give way to nursing which fades into rocking which quickly becomes diaper changing and then paranoia. 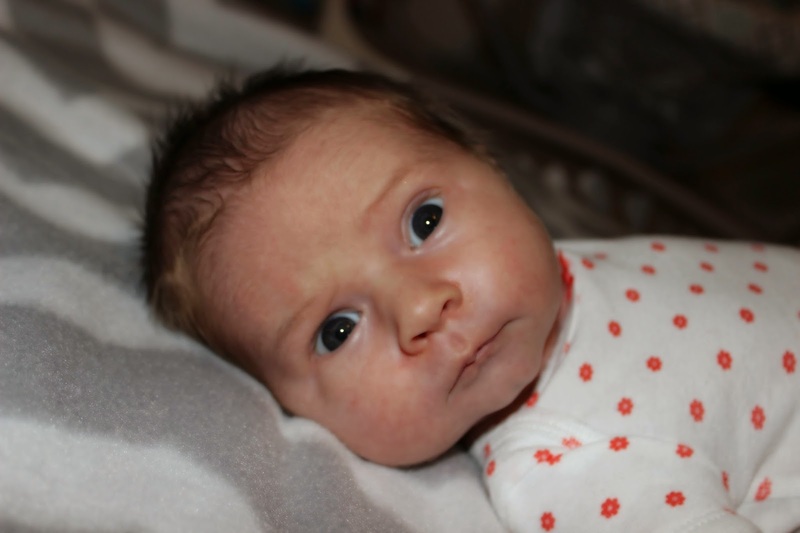 The paranoia inevitably leads to a quick check to ensure the baby is still alive because the room has become quiet (which means you should be asleep) before you finally fade into another two hours (if you’re lucky) of sleep, and the cycle repeats. Realistically the days are not much different. In between the actions that become robotic there are quiet moments of gratification. A small grin (gas) or a look that undeniably means “hey, I know you’re my parents and I love you guys too.” That’s when the sleep deprivation that has caused you to look for your phone while you’re on it or run your car into the garage and knock the side mirror off (yup, those things have happened) become worth it. So, as month one draws to a close we still have no idea what we’re doing. But, she’s growing so we think something is going right and we’re all learning. We’re learning that we’re no longer in charge and that side mirrors can be replaced, but those quiet moments cannot. They fade in quickly and out just as fast. The blur that is parenthood has just begun, and more than anything we’re soaking it all in. 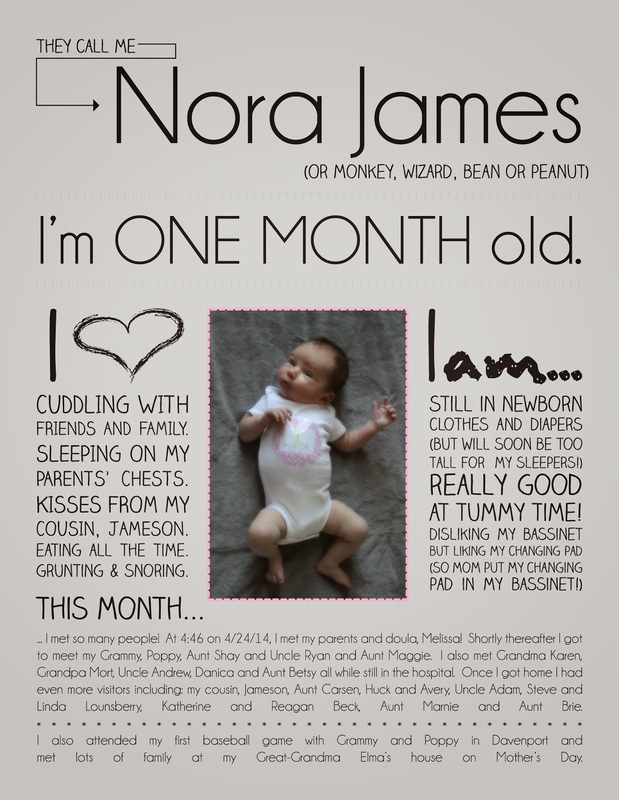 Happy One Month Birthday, Nora! And, a little housekeeping. I’ve added a page to the blog about our road to baby. I’ve had a number of people reach out to me about infertility so I compiled all the posts that were on a previous blog in this spot. Feel free to visit if you’d like to learn more (or not if you’re not interested!). I am killing two birds with one stone today. I have an assignment to post comments on blogs that I enjoy, and on blogs that pertain to my rose colored sunglasses website. I love your blog Amanda. It’s not because you’re my niece either. It is well written and heartfelt. Happy birthday to my newest great niece Nora James, I cannot wait to meet her. Keep up the good work with the blog!